We have known that we would probably find the late February and March period the most difficult part of winter here in Ontario. We have been used to this time period being very spring-like in BC and, indeed, have been receiving lovely pictures of spring flowers from the Fraser Valley the past few weeks. By contrast, we get teased here by an occasional warm day followed by blasts of cold. For example: this morning started warm and sunny and just before noon was already close to 10 degrees C. We observed people walking around town in shirtsleeves as we drove home from church and were planning some leisurely outdoor activities for the afternoon. But, by the time we had arrived home, a cold wind had sprung up and the temperature plunged to near freezing within an hour or two. Freezing rain is forecast for tonight and we are under a ‘watch’ for a potential significant snow storm for Tuesday followed by temperatures dropping to -18 degrees C later in the week. Good job that we don’t have high expectations of March weather! But one can always hope, right? Yesterday we joined throngs of other people who seemed to be eager for Spring at the Picton “Seedy Saturday” event. It featured seed exchanges, seed sales, gardening advice and workshops. It seemed as if the whole County turned out to pretend for a day that it was not still winter. 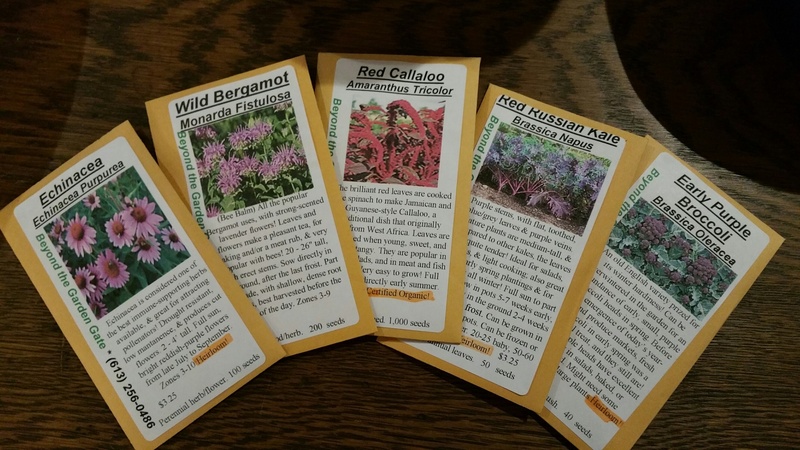 For some weeks we had already been going through seed catalogues, arranging to bring in a load of composted mushroom manure and starting sweet potato plants from cuttings and so were happy to join the crowds at “Seedy Saturday.” We came home with (surprise!) lots of seeds, fresh enthusiasm and some new knowledge about local growing conditions. In addition, we made some valuable contacts with people, including an older farmer who gave me valuable contacts for getting pigs in this area. 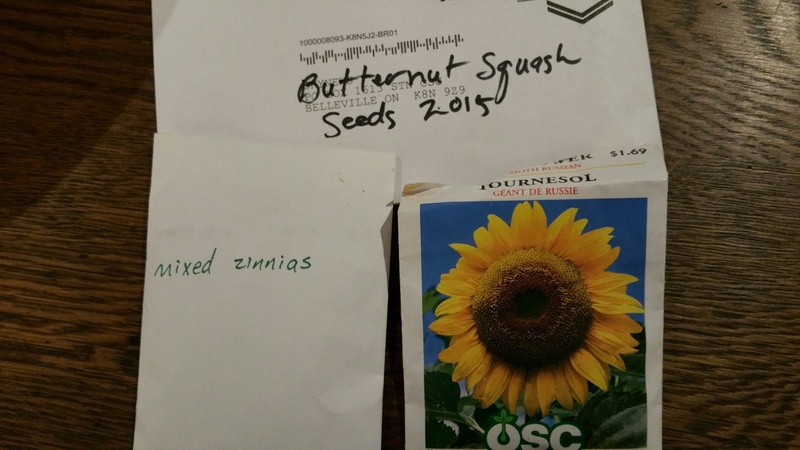 Some of the flower and vegetable packages of seeds that we picked up at local seed growers’ tables. Not the same attractive packages but free(!) packages of seeds given away at the seed exchange table. 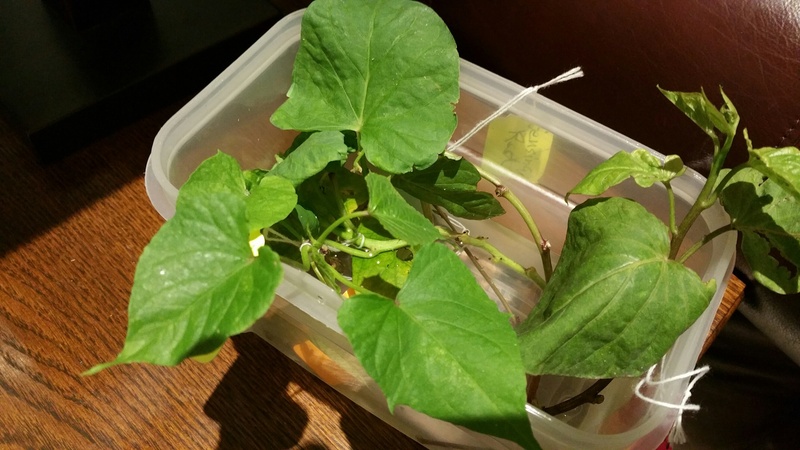 Sweet potato cuttings given to us by an older, experienced farmer/gardener in our church. He grew about a dozen varieties of sweet potatoes last year and gave us a cutting of each variety. They are starting to root and we should be able to multiply them several times before planting late in May. 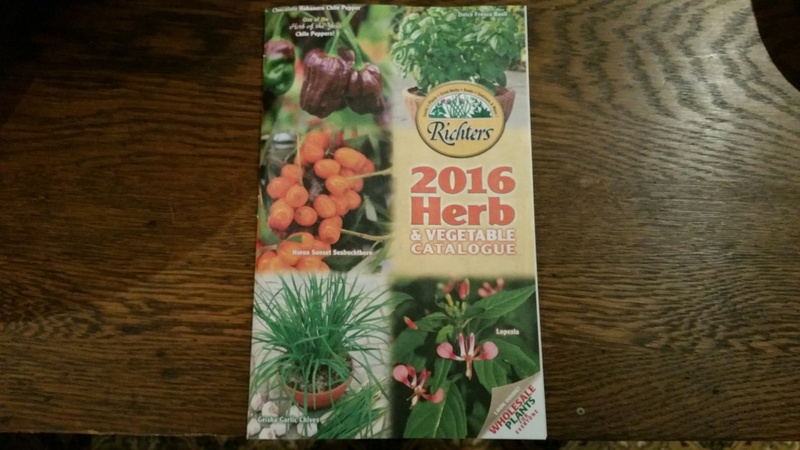 We still need to place some seed orders from the paper and online catalogues that we are using. Judging by the weather forecast, there is no rush to get our seeds any time soon! Well, Corwin, we knew that someone would start rubbing it in but the comment about mowing your lawn hurt! Actually, I think that we did some rubbing it in of our own while we were experiencing a mild, often sunny, late Fall and early Winter, knowing that our turn to receive it would come when BC experienced its usual very early Spring.